Gorgeous! Love it. I loved Vanessa's dress too from what I can see. Looking forward to seeing their wedding on t.v. on the 30th! So fun! Gorgeous and amazing! Who knew that it was two pieces?! I saw Vanessa's gown in a magazine and immediately thought of your sister!!! I love the details on your sister's dress - the sash, the bodice, just stunning. Her dress is simply gorgeous! And I agree. The bridesmaids dresses are beautiful! I love Monique Lhullier...so pretty! Love the purple color of the bridesmaid dresses too! My goodness! Her dress is gorgeous!! Love the bridesmaid dresses too! Gorgeous dress! I love the shoes too! I read that Vanessa's dress was a two piece as well. Beautiful! I need to hit up a Monique Lhuillier trunk show to find the one I want too! Oh my goodness! That's amazing! She looks gorgeous!! you're right... that is one gorgeous dress that she's wearing. She was a very beautiful bride. I love her dress. That gown is beautiful...your sis is gorgeous! Such a beautiful dress! It looks like it was just made for your sister, she looks stunning in it! Beautiful!! A Lhuillier gown is my dream. Stunning! It looks so expensive, and those bridesmaid's dresses are beautiful. 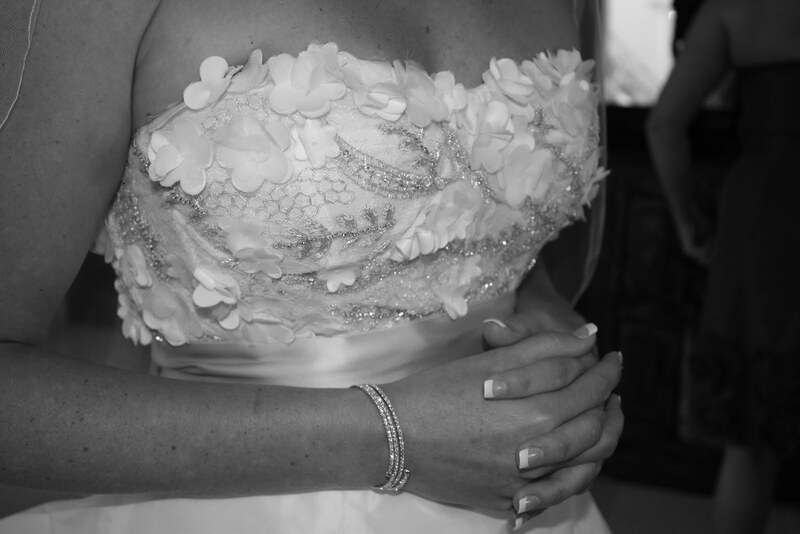 She was just beyond beautiful ... dress, jewelry, and more! I've said it 10 times before and I'll say it again, OBSESSED with that dress! What a gorgeous gorgeous dress and I love the details on the top! Tracy, you look so pretty too - can't wait to see more pictures! I love the champagne sash. So elegant! That dress is beautiful! 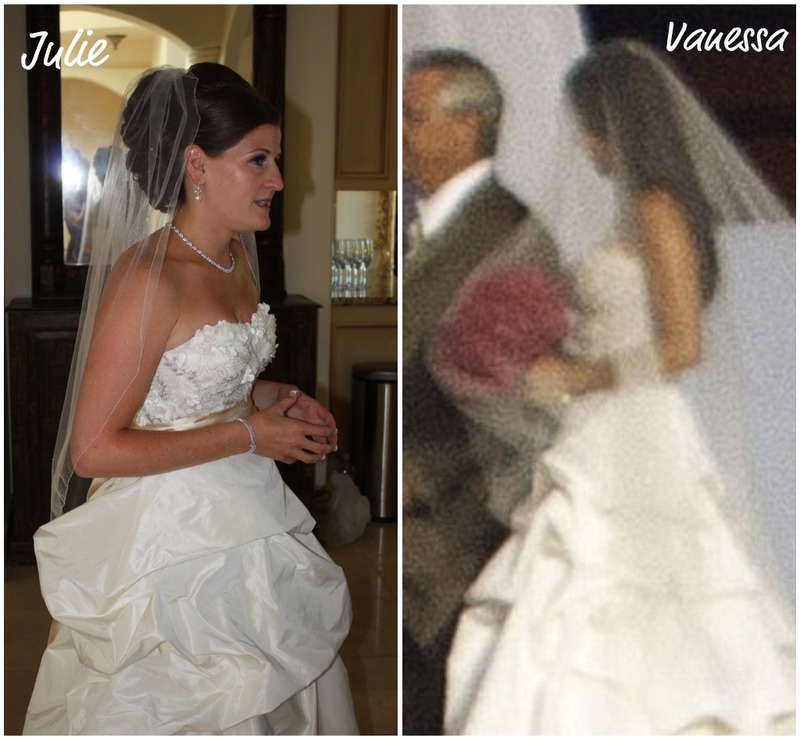 How fun that Vanessa had on a similar dress!